I grew up doing all kinds of sports but swimming was a big one. I went on to be competitive at water polo as well before finding downhill mountain biking for my teenage years. 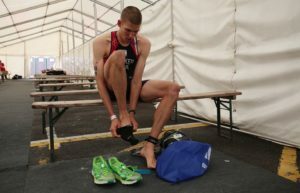 The first sprint triathlon I did was with a bike and shoes I borrowed from my brother in 2011 and I converted to triathlon that day. I went on to do my first Iron Distance event in 2012. My commitment to triathlon grew every year with GBR Age Group representation and age group podiums in Challenge and Ironman events. In 2016 I did my first events as a Pro and won the Outlaw for the first time. 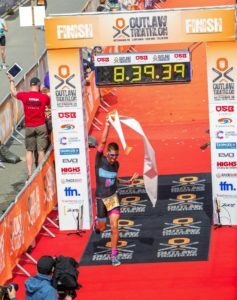 2017 I went back to the Outlaw and broke the course record! Also, I posted my highest finish in an Ironman 70.3 event in Weymouth with 7th. Now my goals are on becoming the best athlete I can, qualifying for the Ironman 70.3 world championships and then onto chasing Ironman again from 2020 onwards. I also coach other athletes towards there goals and help them achieve what they set out too, from beginners to world championship and Age Group Qualifiers. I absolutely love Greeper Laces, I have been using them for nearly 5 years now and they just work perfectly every time. 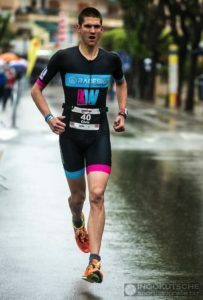 Consistent feel of a well tied shoe that is simple enough to use and goes on fast enough for the highest pressure Triathlon transition situation giving you comfort for miles in a flash.